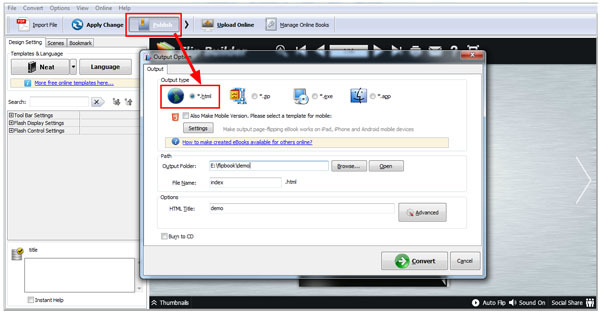 How to upload the created flipbook to my website server? I just created a page flip book, how can I upload the flipbook to my own server? 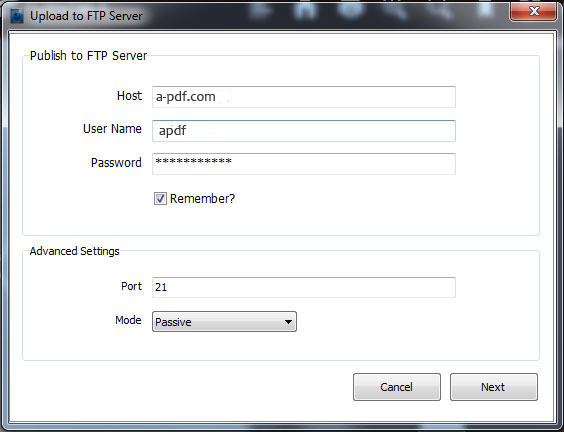 (2) To FTP Server to upload directly. 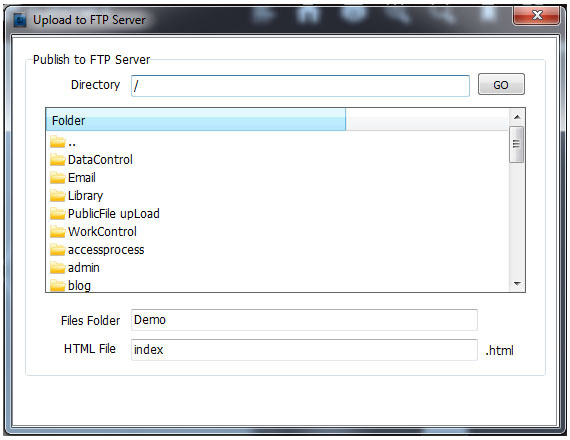 There are 2 ways to upload files to your server: web browser and FTP software. 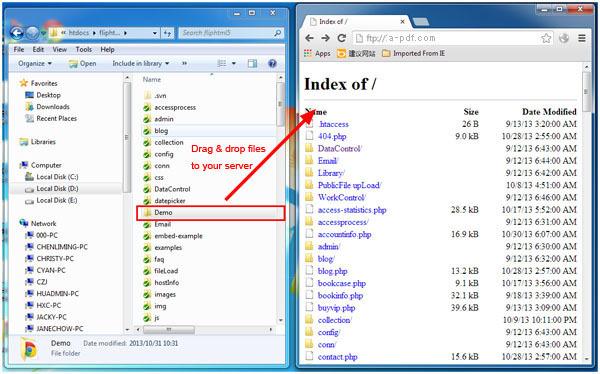 (3)	After you log into your server, you can drag and drop the files to the correct directory in the browser window. 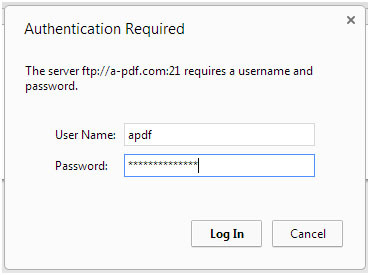 There are various FTP software available for downloading, for example, FileZilla for Windows (http://filezilla.sourceforge.net/) . 2. Input Host, User name, Password, etc, and click Next, and the below window will pop up, define the directory, file folder and file name, then click Publish to start uploading the flipbook to your server. P.S: After the uploading is completed, you can go to your server to check the files and you can view the flip book online. A-PDF FlipBook Creator - Create Flash Flip Books with "page turning" effect from any kind of printable documents.